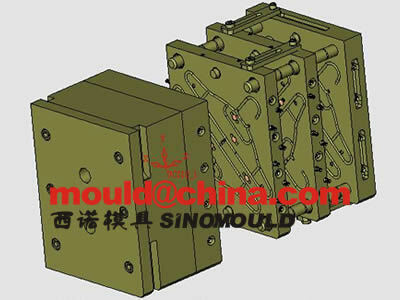 STACK MOULD is a high precision mould and it is suitable for massive production. 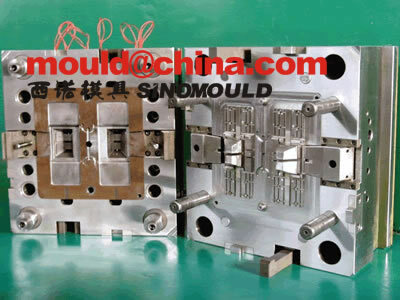 Stacking mould's productivity is applied in foldable crate, some plastic frame need big machine but very small moulding weight, CD, DVD, cup, spoon, knife and fork... disposable receptacle moulds. 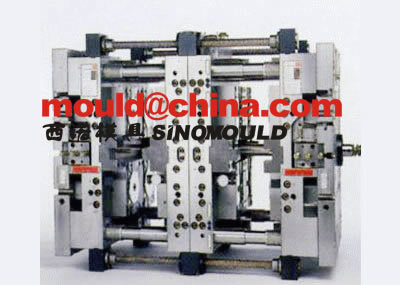 The efficiency of the injection machines is enhanced. 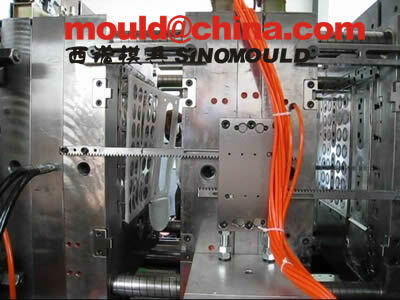 The plastic material's wastages are reduced. 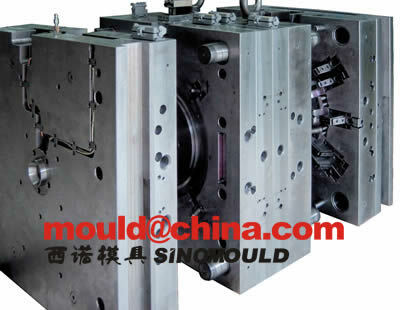 High speed injection moulding suitable for big quantity mass production. 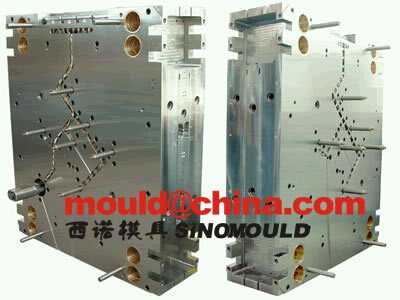 - how to make the main gate connection without any material leakage. 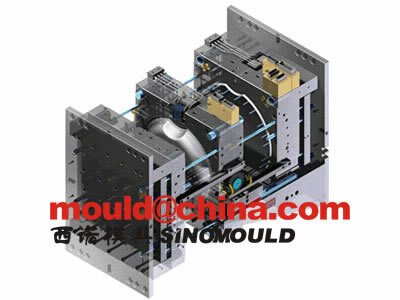 - how to cooling the cavity plate which fixed with so many pcs of hot nozzle. 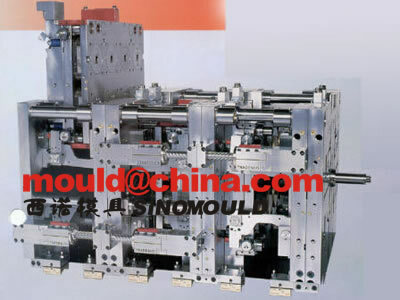 - the ejection pushed by pneumatic cylinder or hydraulic cylinder. 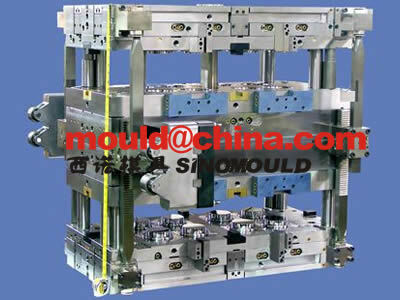 - to reduce the mould thickness, in order to fill the stack mould into a smaller machine. - how to lift the weight of the medium plate. 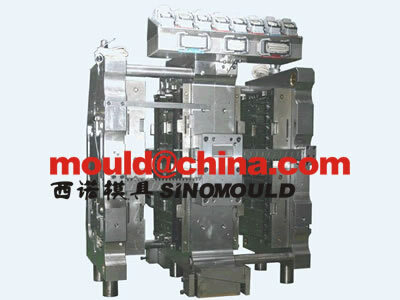 Stack Mould General Parameter of SINO MOULD. 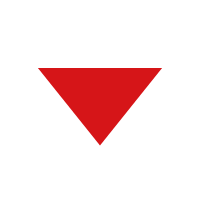 Valge gate system for central runner. 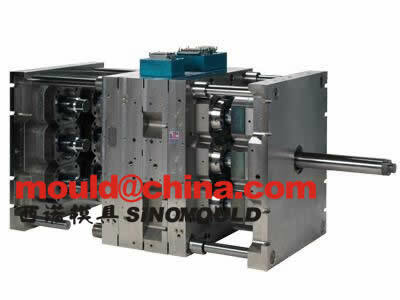 Machine opening and ejection in the same time. 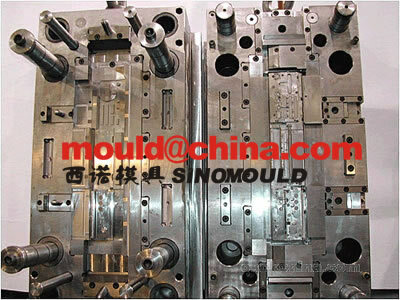 Below in some of our stack moulds pictures.